The Rail Bridge at Yarra Junction-Noojee Road, Noojee, was constructed in 1919 on the Noojee-Warragul line, to the design of the Chief Engineer of Works, Edward Ballard, for the Victorian Railways. It is an eighteen-span, curved timber trestle bridge. The line was closed in 1958 and the bridge was sold to the local shire. The single railway track has since been removed. The Rail Bridge at Yarra Junction-Noojee Road, Noojee is historically and architecturally significant to the State of Victoria. 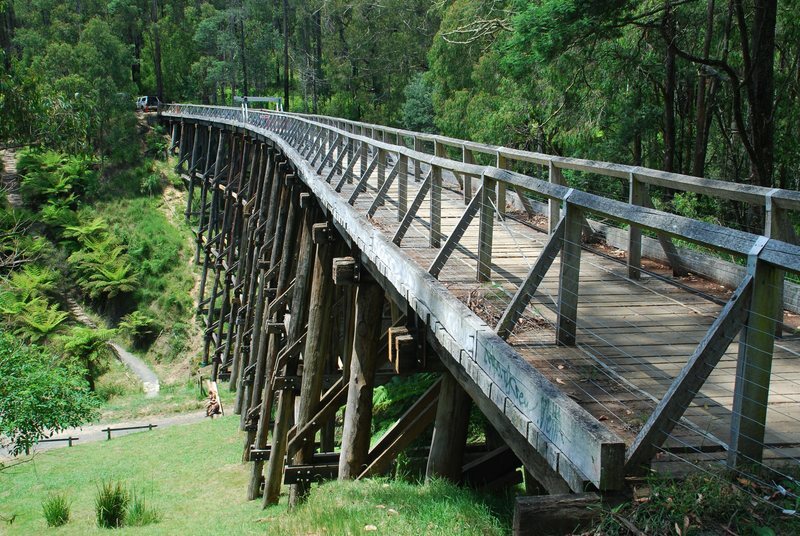 The Rail Bridge at Yarra Junction-Noojee Road, Noojee is architecturally significant as a unique and essentially intact example of a railway trestle bridge. 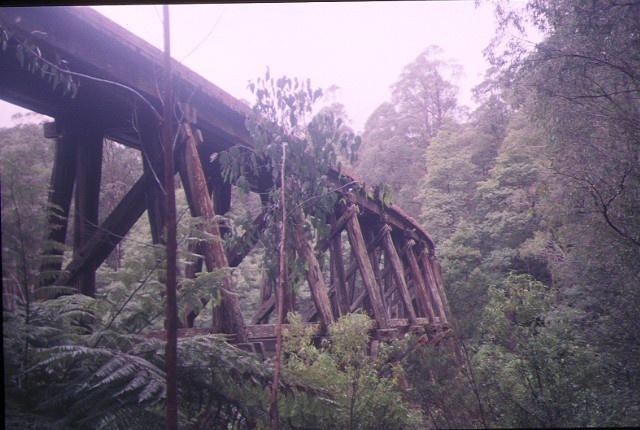 It is significant at a state level as the tallest surviving trestle bridge in Victoria, further enhanced by its curved alignment. 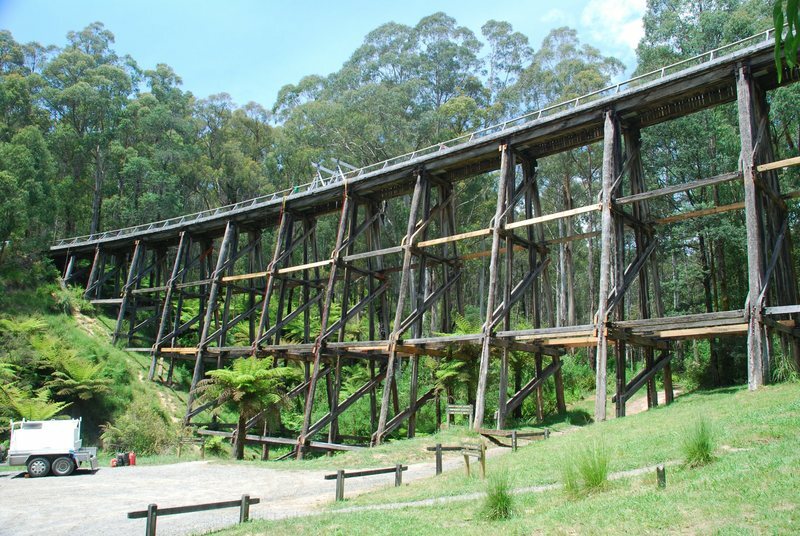 The bridge is a notable example of timber trestle bridge construction, demonstrating a distinctive and presently rarely used construction method that utilised native bush timbers. 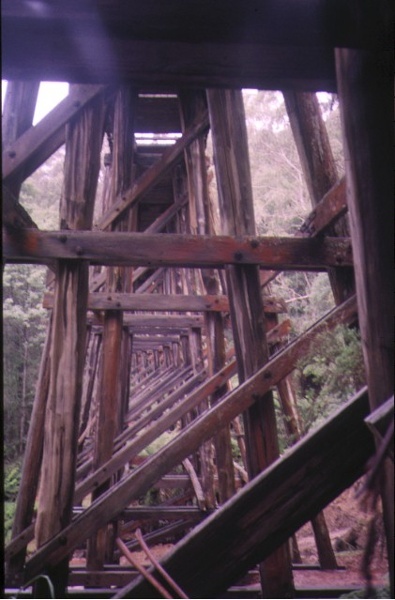 The Rail Bridge at Noojee is historically significant, recalling the former role of the Noojee railway in the district. The bridge opened in 1919, enabling the Noojee Railway (which had opened as far as Neerim South in 1890-2) to be used for the transportation of timber and local farm produce from Noojee district to the main towns. 1. 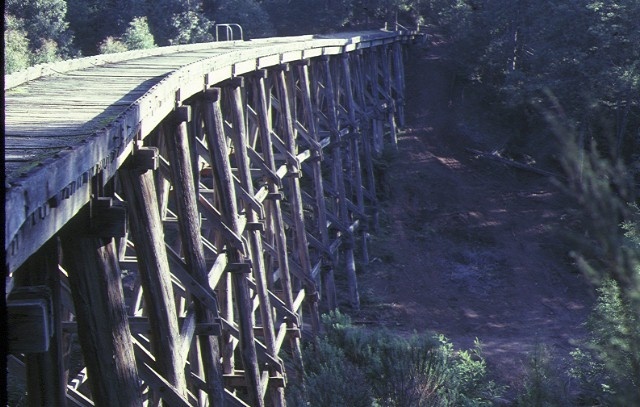 All of the structure known as the Rail Bridge, Yarra Junction-Noojee Road, Noojee (B1), including decking, superstructure, timber trestles, as marked on plan 602011held by the Executive Director. 2. All of the land surrounding the structure marked L1 on plan 602011held by the Executive Director, being part of Crown Land. The Rail Bridge at Noojee recalls the former role of the Noojee railway in the district. The bridge opened in 1919, enabling the Noojee Railway (which had opened as far as Neerim South in 1890-2) to be used for the transportation of timber and local farm produce from Noojee district to the main towns. 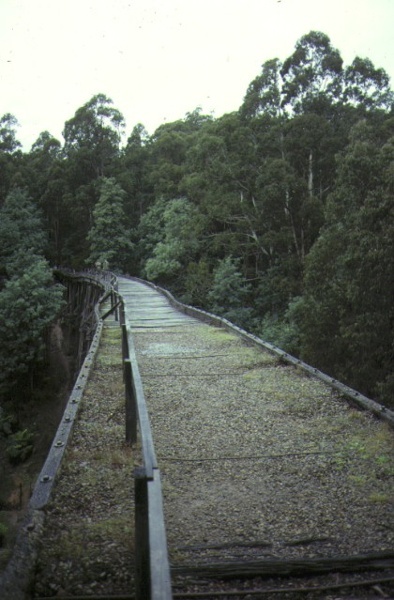 During the 1939 bushfires much of the valuable timber in the vicinity was burnt out, resulting in the eventual closure of the line and the bridge (Ward, 1982).